This is Milkshake the pig. 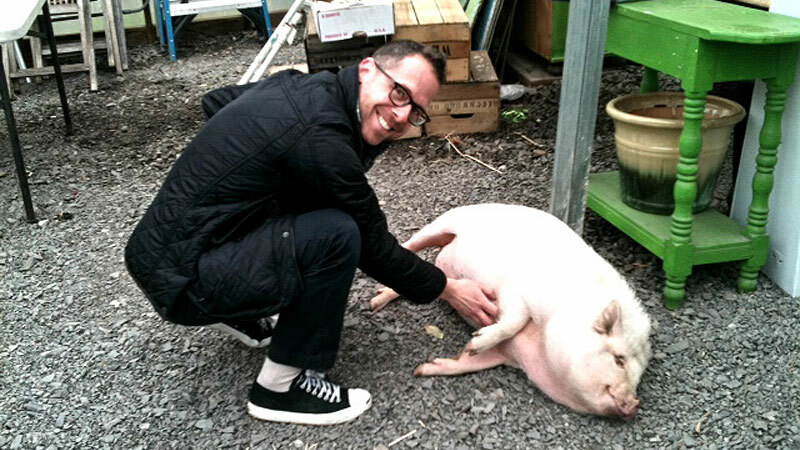 Milkshake is a nine-month-old pot belly that lives at Greensgrow Farms, an urban agricultural development in the Fishtown section of Philadelphia, and Milkshake liked Dan very, very much. Perhaps he was cozying up to Dan in hopes that he could change Dan’s mind about bacon.